When I decided to create this blog to help motivate my sister, I had a brilliant brainwave – how about not just penning empty words of motivation, but actually proving ultimately through the same channel that there is indeed money to be made online? So I went off and did some research. I studied 15 bloggers who make 100% of their living online. I assessed their sources of income and analysed each income stream and the actions taken to generate it. 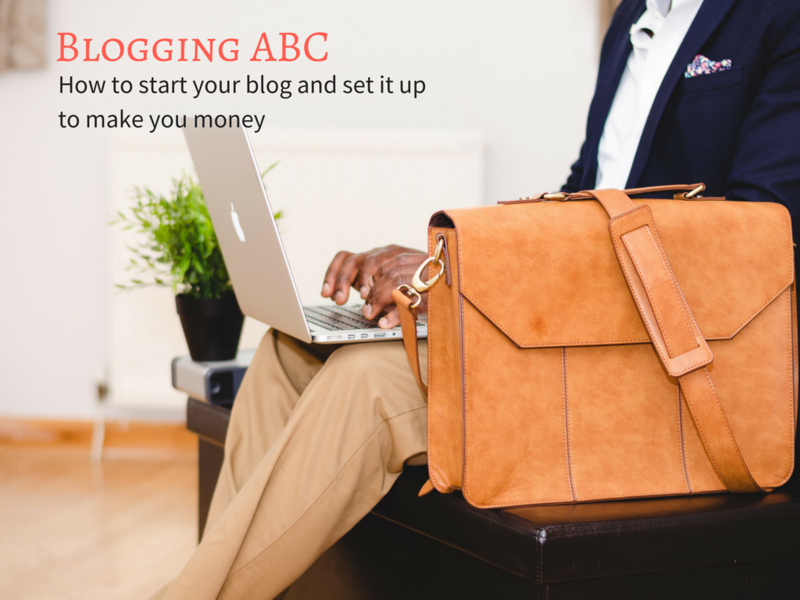 Through this exercise, I established at least 8 different ways to make money from your blog. Before we get into the juicy details, if you haven’t already got the following on your blog, please install them now. I’ll explain why in a bit. An analytics services, such as Google Analytics (free) or Mixpanel. This basically help you count how many blog visitors you have had, and where they have come from. An e-mail capture system to request the e-mail addresses of your readers. You might have something to sell them later, and it’s always a good idea to have “ready buyers”. With these in mind, may we proceed/ to give you what you need/ to monetise your up-and-running blog. Google owns its own advertising network (Adsense), which allows it show adverts on millions of websites signed up to its program. If you sign up to Adsense, Google shows your visitors adverts which it deems relevant, and whenever someone clicks on an ad, you get a few pennies or cents. To opt in, you will need to sign up for Google’s Adsense program. Many “experts” don’t advocate having Adsense as a main source of blog income, as it might take away from your customers experience. However, if you’re just starting off, it can be a good source of income while you’re testing other relationship-based income channels. In the future, you can choose to remove all your Adsense ads and focus on another source of income. Top earners with Adsense, such as the OnehourProfessor earned $2,594 in August, 2016 alone. If companies find your blog interesting enough for products in their niche, they might ask to buy some advertising space from you. This just means that they would like you to reserve a slot on your website where they can place their ads, offering you money in exchange. You don’t even need to go out and look for advertisers. Just put a banner on your page, letting readers know what you’re offering like TechyTyrants do with the banner below. In this case, you can request to advertise specific products and services which you think your readers might be interested in. If accepted, you are given a link to publish on your blog, and whenever a customer clicks on the link and makes a purchase, you get a commission. This is called affiliate marketing. In July 2016, Abby from JustaGirlandherblog.com reported that $11,000 of her $32,000 blog income came from one affiliate advert alone…before proceeding to make a combined $9,000 across 14 more affiliate products. You can see the full report here. 4. The same way companies sponsor football matches and place adverts around the pitch for the consumption of all who have eyes on the match, companies can sponsor your blog with their ads for the consumption of your dedicated readers. You can either feature a graphic advert, or write a sponsored post (this is a special post you write to promote a company’s product/service) for the firm in exchange for cold, hard cash. This also applies to podcasts if you have a podcast following. Tim Ferriss, the best-selling author of “The Four Hour Workweek” has an active podcast which receives around 1 million downloads per episode. In this post, he goes into how he has grown his podcast business to 70 million downloads with the potential to make $2 – $4 million annually. Most bloggers seeking sponsorship tend to do so through an open invitation on the website, rather than through a hard sell approach. Tim’s method was to focus on growing his podcast to about 100,000 downloads by which time he had sponsorship requests to pick and choose from. 5. Many bloggers create and sell their own products on their blogs. Digital products seem to do quite well on blogs with healthy followings, as sales can be automated and can easily become a passive income stream for the bloggers. In July 2016, Pat Flynn of SmartPassiveIncome made over $7,800 selling his eBook alone in Kindle, PDF and audiobook formats. Incidentally, I’ve noticed that products which seem to be a hit with blog followers tend to be business improvement based. If you’re able to offer a product which helps people work better or more efficiently, you’re more likely to sell. The spectrum includes SEO courses, blogging tuition courses, management courses, books, themes, graphics, plugins and even ready made websites. You could lock “premium” parts of your blog behind a paywall and ask readers pay to access key content. If you have a product which you think might benefit from a subscription model, check out this post from Jason Chester in which he discussed how he successfully created a membership only website which earned his $172,000. A lot of bloggers supplement their incomes by selling services through their blogs. Services that can be sold include consultation services, writing services, keyword research, virtual assistance, web design services and even article writing services for other bloggers! Dom from HumanProofDesigns earned $20,000+ in June 2016 from designing custom, niche websites for clients. If your audience can benefit from a descriptive video of your products/services, then you might as well make some extra money while serving your audience better. To be honest, I haven’t found any blogger yet who makes anything more than $100 monthly, who offers Youtube videos in addition to their existing content. So far, there’s MostlyMegan who earned $6.28 from Youtube in April, 2016 and OneHourProfessor who made $55.08 in YouTube income in August 2016. I really hope this has helped you, and if you have had experience using any of these methods above, please feel free to share your experience in the comments section! I’m always eager to hear from you.